Even though you are actively searching for a job, keep in mind many employers are also looking for passive job candidates. There are many tips for passive job candidates, as they are qualified job candidates who may not necessarily be looking for work, but who may be interested if the right job comes along. Employers look for these passive candidates by reviewing resumes on company web sites, job sites, and professional networking sites. The first task is to make sure that your current professional information is available online in a way that will attract employers searching for job candidates. If you already refreshed your resume, then you have already updated your resume to reflect your most recent accomplishments. You have also embedded the best keywords in your resume to make your professional history more easily searchable by employers seeking candidates with your qualifications. Expand your professional online presence. After you have updated your resume, place your resume on sites on which your ideal employers might search for candidates. Put your professional information on networking sites like LinkedIn, as well as job sites like Monster and CareerBuilder. Most college alumni associations have an alumni database for networking purposes. Contact your alma mater to see if your alumni association has such a database. 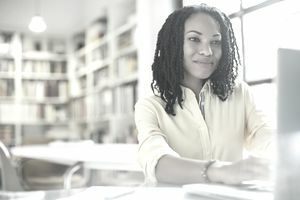 Many employers like to recruit candidates from their colleges, so take advantage of those connections. Similarly, be sure to join any alumni associations run by your prior employers. These associations help former employees stay connected and help each other with future career paths. If you belong to any professional associations, put your professional information on their member databases. Employers often look for candidates on professional associations related to their fields. Limit your personal online presence. Now that you have put all of your professional information online, be sure to make any personal information private if you do not want employers to see it. This includes personal social networking accounts such as Facebook and Instagram. Only make your personal information accessible to people with whom you are comfortable sharing that information. Keep track of your online presence. Keep track of every site on which you have posted your professional information. Keep a list of these sites, as well as your usernames and passwords for each site. This will help you stay organized with your job search, and also help you to easily update your online information as you continue forth with your career.